When it comes to custom landscaping in Scottsdale, there's no better landscape design company around than Desert Environments. 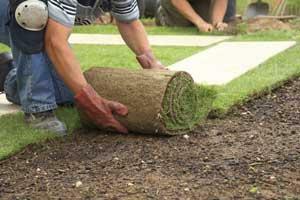 We understand every aspect of lawn design and maintenance and guarantee to find the right fit for your home. Understanding the climate and aesthetic of Arizona is part of what sets us apart. And we love helping homeowners choose hardscaping features and vegetation that makes sense here. When you choose a landscaping company that specializes in creating desert environments, you get to create a space that won't deteriorate in harsh conditions. And we work our hardest to offer the leading services for landscaping anywhere around. Your house is something that you should be proud of. That's why we work with you to make your home a beautiful place you will be proud to show off for years to come. What Does Desert Environments Do Differently? Our landscaping company takes your custom designs and builds landscape architecture that is dedicated to the fulfillment of our customers. Landscaping your Scottsdale home does so many wonderful things for you; it increases your property’s value and living space while improving your quality of life. Create a unique place that you can call your own and share with friends and family. Our landscape contractors will work closely with you to determine the look and feel you want, keeping you in the loop with regular updates during the process. Do we charge for consultations? 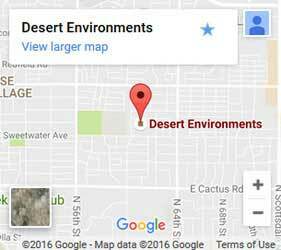 At Desert Environments, we want to make sure you're comfortable with us and our work. That's why we offer free consultations. We want to give you time to feel like you're making the right choice. We will create an environment that is just right for you and your home. Our excellence and experience have been proven through the gratitude of our long list of satisfied customers and an A+ rating from the Better Business Bureau. Let us show you why our performance is unsurpassed when it comes to landscaping Scottsdale homes. Call or contact us today and let us create you the outdoor living space that you'll love for years.